In six out of eight northeastern states, the Modi government failed to provide even a single LPG connection under its flagship scheme Pradhan Mantri Ujjwala Yojana (PMUY). The Yojana is an initiative on whose success the Bharatiya Janata Party (BJP) rode to power in Uttar Pradesh, having provided over 4.3 million connections in the state to BPL families. The information was received from Indian Oil Corporation Limited (IOCL) through an RTI application by IANS in May. According to the RTI reply, till May 8, 2017, not a single family benefitted from the Pradhan Mantri Ujjwala Yojana (PMUY) in states like Arunchal Pradesh, Meghalaya, Mizoram, Nagaland, Tripura and Sikkim. Just the two BJP-ruled states in northeast India — Assam and Manipur — saw five and 27 LPG connections, respectively. In Assam, Baksa district received one connection, Darrang got one, Dhemaji district one and Dibrugarh got two. In Manipur, Kakching district received highest number of connections with 15, followed by eight in Thoubal, two in Imphal West and one each in Jiribam and Churachandpur. The RTI reply also says that till May 8, 2017, a total of 75 districts in Uttar Pradesh have released 4,337,706 connections under the PMUY. The scheme was launched by Prime Minister Narendra Modi on May 1, 2016, in Ballia, Uttar Pradesh in the run up to the assembly elections in the state, which was held from February 11 to March 8 this year in seven phases. The BJP swept through the assembly elections in Uttar Pardesh, bagging 325 seats out of 403 seats and dislodging the Samajwadi Party government, which along with the Congress could manage only 54 seats. It is believed that women in UP were pleased with the central government's initiative and voted for the BJP. The RTI reply also said that till May 8, 2017, a total of 21.933 million connections had been released in the whole country under PMUY. However, to a question as to how much the government had spent under the scheme in Uttar Pradesh and in the whole country, the reply came that the information was not available with IOCL. 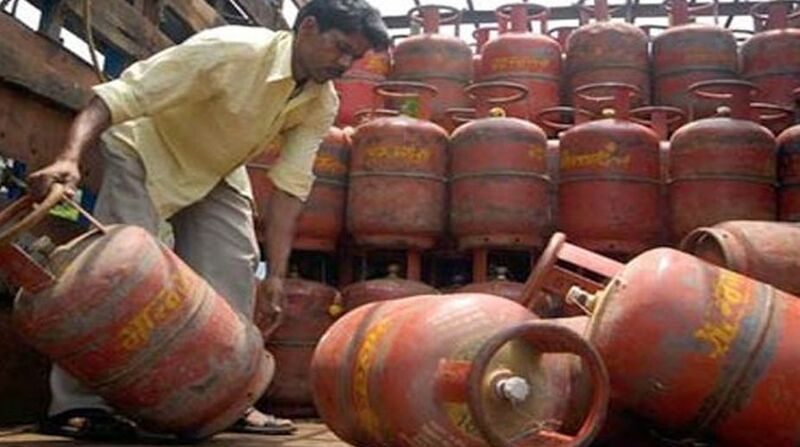 Meanwhile, on the website of PMUY under the ministry of petroleum and natural gas, it is mentioned that till July 1, 704 districts had been covered and 24.4 million BPL LPG connections had been released. The BJP came to power also in Assam last year (2016) and Manipur early this year, uprooting the Congress governments.